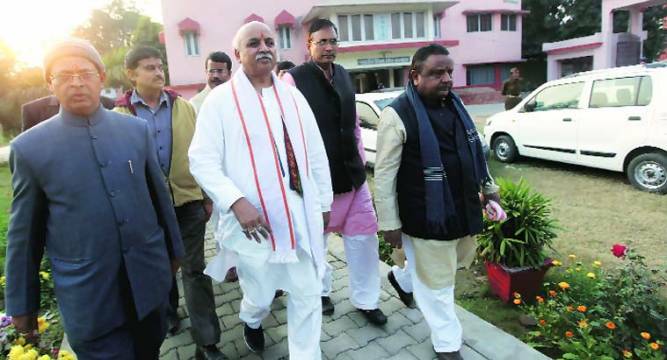 VHP leader Pravin Togadia today said there would be no agitation against “elder brother” Narendra Modi-led Centre for building Ram temple in Ayodhya till the completion of Uttar Pradesh Assembly elections, due next year, as the outfit did not want to politicise the issue. “Till UP elections, there will not be any protests against Modi government at the Centre. We do not want to politicise the issue. How can we protest against our elder brother (Modi)?” he said. Besides, Modi “is a man of firm resolve”, Togadia said, adding that he was hopeful that the Prime Minister would ensure the construction of Ram Temple by getting a law enacted by Parliament and demanded a joint session for the purpose.